Chinese government policy and legal guidelines for handling infectious diseases among the workforce have recently undergone major revisions and are now relatively straightforward and unambiguous. Those diseases serious enough to require isolation and quarantine are clearly identified, and any employee suspected of having such an infection would need to be reported to the relevant health authorities and removed from the workforce. The notion that that there are laws mandating the provision of special, segregated dining facilities for employees infected with communicable diseases remains unconfirmed and of doubtful validity. This belief may have arisen from the prevalence of the Hepatitis B virus (HBV) in the Chinese population and the historical misunderstanding about its communicability. Some employers or organizations may have felt compelled to respond to widespread fear and may have segregated HBV carriers from the rest of the workforce during dining or when providing them with lodging. These informal practices may be the foundation for the belief that employers are required to provide special dining facilities to Chinese employees infected with certain diseases. When there is concern that an “infectious disease” is present among the workforce, Chinese law mandates that the concern be immediately reported to Chinese health authorities for assessment in order to determine if isolation and quarantine are required (see Law of the PRC on the Prevention and Treatment of Infectious Diseases). Infectious diseases requiring immediate quarantine include HIV or AIDS, measles pertussis, rubella and dengue fever. Although scientific research has demonstrated that the Hepatitis B virus, the virus that causes the liver disease Hepatitis B, can only be transmitted through the exchange of bodily fluids or from mother to child, there has been widespread belief in China that the virus can be spread through casual contact during dining or co-habitation. 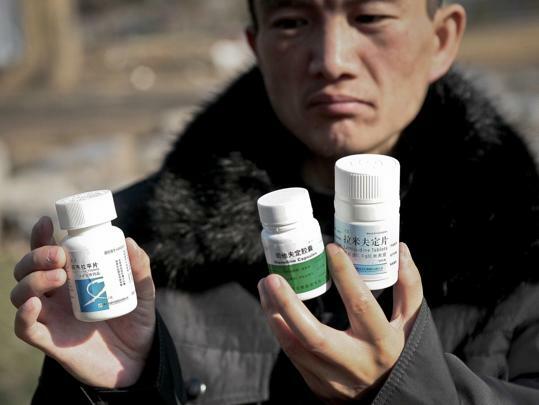 The confusion has been exacerbated because of fear arising from the epidemic rate of HBV infections in China and because of previously misguided government health policies. There are an estimated 90 million to 130 million people in China infected with HBV. About 30 million Chinese have developed acute Hepatitis B, which is accompanied by severe medical symptoms and may easily lead to death. Many Chinese may have been originally infected as children in the last century through the use of needles shared during mass vaccination programs for tuberculosis, tetanus, and encephalitis. The infection could then be passed from mother to child. Because of fear of the virus and misunderstanding about its potential impact on public health, prior Chinese laws restricted the ability of HBV carriers from obtaining government employment or working in certain public industries such as healthcare services or food services. However, there has been growing awareness recently of the true characteristics of HBV transmission, which has led to new government policy and legislation. Recent laws have sought to reverse the policies of the past in an attempt to protect the rights of HBV carriers to obtain employment. Legally speaking, it is now improper to discriminate against HBV carrier applicants for employment, except in a few rare cases. In 2007, the Standing Committee of the NPC passed a law explicitly forbidding discrimination in hiring against any “person based on their carrying the pathogen of a contagious disease.” In the same year, the Labor and Social Security Bureau issued the Regulations on Employment Services and Employment Management, which clearly provides that employers may not mandate the use of HBV medical testing in hiring, except in a few specialized professions. There is a RMB1,000 fine for violation of the provision. Further strengthening these measures, the NPC Standing Committee passed the Food Safety Law in 2009 – revising the provision in the Food Hygiene Law forbidding pathogen carriers from working in direct contact with ready-to-eat foods. Under certain circumstances, HBV-positive individuals may now no longer be prohibited from employment as cooks or in similar positions. Since the passage of these laws, all local governments have eliminated civil service requirements that discriminate against HBV-positive individuals. In a final note, please consider that there are some industries legitimately requiring pre-employment health screenings, including in the food service and cosmetic production industries. In such industries, the presence of “infectious diseases” other than HBV would disqualify the infected employee. However, in cases whereby an employee contracts such a communicable disease subsequent to employment, the employer may not terminate the employee but rather shall adjust the employee to other positions that do not threaten the health of the public. After the medical treatment period has expired, if the employee is able to perform the duties of his original work, he may remain employed under the original labor contract terms. If the employee is either unable to carry out the duties of his original position or is unable to perform alternative work arranged by the work unit or employer, then he shall be processed through the “working capability appraisal process” conducted by the Labor Appraisal Committee with reference to the Standards for Appraising Industrial Injuries and Disabilities Caused by Occupational Diseases. If the employee is appraised as between Class 1 through Class 4, then he or she shall withdraw from his position, agree to dissolve the labor relationship, and pursue the formalities for retirement or resignation by reason of diseases or non-work-related injuries and enjoy the treatment corresponding to that of retirement or resignation. If the employee is apprised as between Class 5 through Class 10, the work unit or employer may dissolve the labor contract with the employee and pay economic compensation and medical treatment allowance in accordance with the relevant legal provisions.